Finnair will start a collaboration with JD.com, also known as Jingdong, one of the leading e-commerce companies in China. Finnair will be the first non-Chinese airline to open a flagship store for online flight bookings on the JD Travel platform, in the beginning of 2018. The collaboration also includes promotions and loyalty member partnerships. “This collaboration is an important milestone for Finnair and shows our commitment to offer more choices and localized services for our Chinese customers. 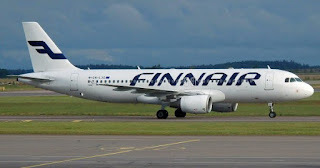 As part of this collaboration, loyalty members will also be able to exchange points between Finnair Plus and JD Travel,” says Mr. Juha Järvinen, Chief Commercial Officer (CCO) at Finnair.